Home » Jesus » Did Jesus Perform Miracles? In Parts 4 through 6 of this series we have seen that from an historical point of view there is surprisingly good evidence that Jesus Christ was born of a virgin, practical certainty that Jesus died by crucifixion at the order of Pontius Pilate, and very strong evidence that Jesus rose from the dead. If there is any truth to the miracles of the Virgin Birth and Resurrection, one would expect to find evidence of the miraculous between those two stupendous events in the mortal life of Jesus. Indeed, this is what we do find. In this article, we will be surveying the evidence showing that Jesus performed miracles during his public ministry leading up to his crucifixion. The evidence that Jesus performed miracles is so strong that critics and skeptics have sometimes admitted he did so without conceding that they were works done by the power of God. In the ancient world, Jews who did not accept Jesus as the Messiah conceded the point that Jesus performed miracles in his own day and for centuries afterward, but they characterized those miracles as sorcery and attributed them to demons or to the devil. Three of the Gospels report that the scribes and Pharisees accused Jesus of being possessed or doing his miracles by “Beelzebul” (KJV “Beelzebub,” Matt. 10:25; 12:24, 27; Mark 3:22; Luke 11:15-19). This derogatory nickname for the devil that the Jews of Jesus’ day used was originally the name of a Philistine deity, Baal-zebub, mentioned in only one passage of the Old Testament (2 Kings 1:2-16). Since Mark and Luke appear to have been written primarily for Gentile readers, the use of the name Beelzebul clearly reflects a Jewish criticism of Jesus that was made by his contemporaries, not something the church or the Gospel writers later invented. Obviously, the Pharisees would not have accused Jesus of performing miracles by Beelzebul if they didn’t think he performed miracles at all. Their accusation shows that even Jesus’ most hostile critics conceded that he performed miracles. Various Jewish sources over the next several centuries referred to Jesus’ miracles. The best known of these sources is the Babylonian Talmud, compiled from about the third to the fifth centuries, which stated that Jesus was guilty of “sorcery” (b. Sanhedrin 43a). The evidence from the Gospels, Josephus, and the Talmud all support the conclusion that Jesus performed healings that appeared to be miraculous and that the Jews who did not believe in him did not dispute this fact. What they disputed was the source of Jesus’ miraculous power. The situation has remained unchanged in the twenty-first century. As New Testament scholar Craig Keener points out, “There is a general consensus among scholars of early Christianity that Jesus was a miracle worker…. Most scholars today working on the subject thus accept the claim that Jesus was a healer and exorcist.”4 As scholars have applied their critical methodologies to the Gospels, they have found that there is no escaping that Jesus performed marvelous feats of healing. Probably the main reason that biblical scholars, even rather skeptical ones, have been forced to the conclusion that Jesus performed works that appeared to be miracles comes from their careful study of the Gospels themselves. As they have attempted to “drill down” beneath the surface of the Gospels to find the earliest sources of information about Jesus, they have been unable to find any evidence of a Jesus who did not perform miracles. All four of the Gospels agree that Jesus performed miracles. Each Gospel has miracle reports that are unique to that Gospel, such as the casting out of a demon from a mute man (Matt. 9:32-34), the healing of a blind man by touching him a second time (Mark 7:31-37), the raising of the widow’s son in Nain (Luke 7:11-17), and Jesus healing a man who had been born blind (John 9:1-39). Other miracles are found in two or three of the Gospels. 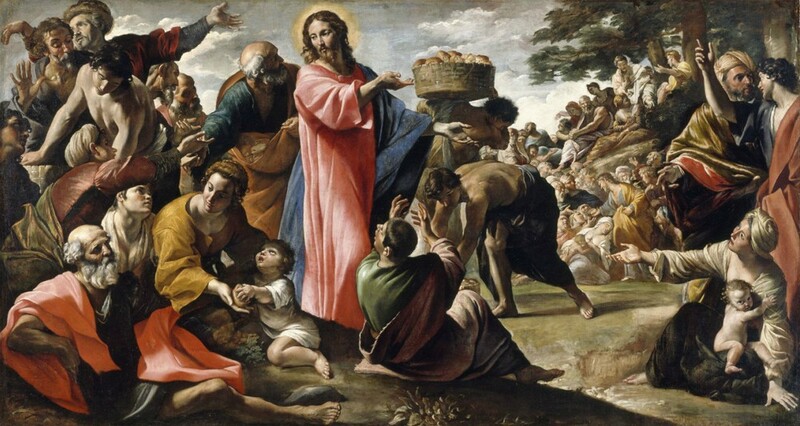 Just one miracle of Jesus, the feeding of the five thousand, is found in all four Gospels (Matt. 14:13-21; Mark 6:33-44; Luke 9:12-17; John 6:1-15). So pervasive are miracle accounts in all of the different parts of the Gospels that it is clear that all of the sources on which the Gospel writers drew included such accounts. Modern skeptics sometimes suggest that telling stories about Jesus performing miracles reflected a common practice in the ancient world of attributing miracles to one’s favorite religious teacher, prophet, or leader. The implication is that ancient people, or at least educated ones, didn’t even take such stories literally; they were just popular, pious ways of expressing how life-changing the teacher’s influence was. The modern skeptic frequently asks Christians why they accept the accounts of Jesus’ miracles as historical fact but do not accept the accounts of other miracle workers in the ancient world. By contrast, we have essentially one source for the stories of Apollonius’s miracles: the Greek author Philostratus, who wrote about AD 220, which was 125 years or more after Apollonius’s death. By that time, Jesus was so well known that any similarities between him and Apollonius might have been the result of the Gospel accounts influencing Philostratus.8 Moreover, Philostratus’s account reads in many ways more like an ancient novel than an ancient biography. Apollonius’s “miracles” includes such feats as making a tripod walk or running off an evil spirit by writing it a letter.9 Not all “miracle” stories are equally plausible. Making a lame man walk is miraculous in a way that is meaningful and profound; making a tripod walk just isn’t. Christians who believe in the miracles of Jesus are not being inconsistent if they reject comparatively absurd miracle stories told well over a century later. The point here is not that all miracles occurring in the first century took place only through Jesus. A sober view of the historical evidence suggests that miracles have taken place throughout history, but with rare exceptions they have occurred unpredictably and as isolated incidents. In this sense, supernatural events likely did occur in the first century apart from the direct involvement of Jesus Christ. What made Jesus so unusual is that he had a well-deserved reputation as a remarkably successful miracle worker. For example, there are references to Jews during the same general period as Jesus who performed exorcisms; Jesus himself even mentioned them (Matt. 12:27; Luke 11:19). None of these Jewish exorcists, however, seems to have gained widespread recognition (or notoriety, depending on one’s point of view) for their work as Jesus did. So impressive was Jesus’ work in casting out demons that some Jewish exorcists even tried to cast out evil spirits using the name of Jesus, an attempt that did not end well (Acts 19:13-16). Jewish sources tell us about a first-century BC rabbi named Honi who prayed for rain to fall (Josephus, Jewish Antiquities 14.19-28a), a quite believable story about an isolated answer to prayer. Later and somewhat less reliable sources report on several answers to prayer received by a Galilean rabbi named Hanina Ben Dosa, who was quick to deny that his answered prayers showed him to be any kind of prophet.10 Scholars are not even sure whether Hanina lived in the first century BC or the first century AD. Jews during the time of Jesus did not assume that the Messiah or other prophets would perform miracles. For example, John the Baptist did not perform miracles (John 11:41), and later traditions about John do not attribute miracles to him.11 Rather than the belief in Jesus as Messiah producing stories about him performing miracles, the evidence shows the reverse: the widespread accounts of his having performed miracles of unprecedented number and power led many Jews to think that he might be the Messiah. And he went throughout all Galilee, teaching in their synagogues and proclaiming the gospel of the kingdom and healing every disease and every affliction among the people (Matt. 4:23; see also 9:35; 12:28; Mark 1:15; Luke 11:20). The best explanation for the unique manner in which Jesus performed miracles is that they were expressions of the power of God in him (Luke 5:17). Jesus’ miracles revealed the kingdom of God because Jesus was the King. 1. E.g., Robert E. Van Voorst, “Sources, Extra-New Testamental,” in The Routledge Encyclopedia of the Historical Jesus, ed. Craig A. Evans (New York: Routledge, 2010), 605. 2. Steve Mason, Josephus and the New Testament, 2nd ed. (Peabody, MA: Hendrickson, 2003), 233. 3. Rudolf Bultmann, Jesus and the Word, trans. Louise Pettibone Smith and Erminie Huntress (New York: Charles Scribner’s Sons, 1958 ), 173. 4. Craig S. Keener, Miracles: The Credibility of the New Testament Accounts (Grand Rapids: Baker Academic, 2011), 19, 23. 5. Graham Stanton, The Gospels and Jesus, 2nd ed. Oxford Bible Series (Oxford: Oxford University Press, 2002), 235. 6. A. E. Harvey, Jesus and the Constraints of History (Philadelphia: Westminster Press, 1982), 103. 7. See especially Richard Bauckham, Jesus and the Eyewitnesses: The Gospels as Eyewitness Testimony, 2nd ed. (Grand Rapids: Eerdmans, 2017). 8. Michael F. Bird, “Of Gods, Angels, and Men,” in How God Became Jesus: The Real Origins of Belief in Jesus’ Divine Nature, by Michael F. Bird, Craig A. Evans, Simon J. Gathercole, Charles E. Hill, and Chris Tilling (Grand Rapids: Zondervan, 2014), 26. 9. Keener, Miracles, 55–56; Craig A. Evans, Jesus and His Contemporaries: Comparative Studies (Leiden: Brill Academic, 2001), 249–50. 10. Eric Eve, The Jewish Context of Jesus’ Miracles, JSNTSup 231 (London: Sheffield Academic Press, 2002), 285–89; Geza Vermes, Jesus in His Jewish Context (Philadelphia: Fortress Press, 2003), 7. 12. John P. Meier, A Marginal Jew: Rethinking the Historical Jesus, Volume 2: Mentor, Message, and Miracles, Anchor Bible Reference Library (New York: Doubleday, 1994), 970. 13. See Robert M. Bowman Jr. and J. Ed Komoszewski, Putting Jesus in His Place: The Case for the Deity of Christ (Grand Rapids: Kregel, 2007), 199–200.